AU Optronics reported their financial results for Q1 2014 - declining sales due to the traditional slow season, higher revenue and a net profit of 166 million TWD ($5.5 million). 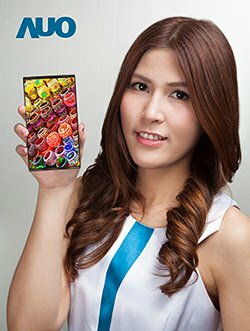 Regarding OLEDs, the company updated that it is sampling mobile phone panels and have provided samples to Chinese phones makers. Even though it was reported that AUO OLED mass production back in October 2013, they are still not actually producing any panels. They now aim to start production in Q2 or Q3 2014, and in any case the capacity is "not so huge".